The Downs are beautiful at any time of year, even in deepest winter when grey skies and bitter winds make them seem grim and inhospitable. 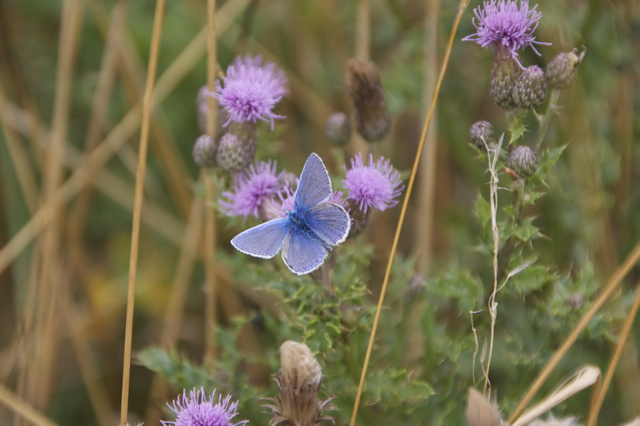 I’m not sure it ever gets better than August though, when wildflowers carpet the steep slopes and everything is climaxing in one last great show before the Autumn days draw in. 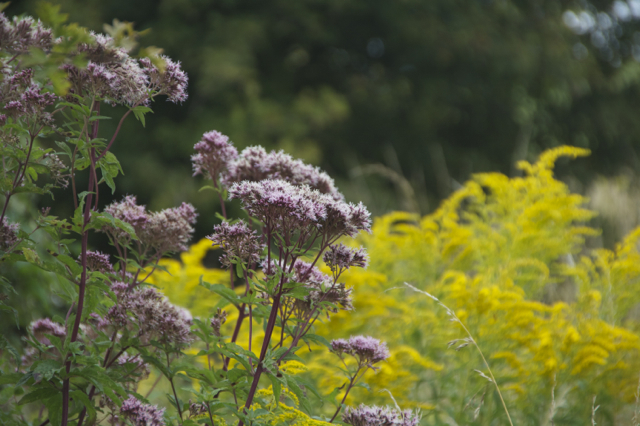 The buzzing, whirring and fluttering of hoverflies, bees and butterflies is intense as they load up on pollen and nectar and the smells so rich you can end up feeling as euphoric as the insects appear to be. 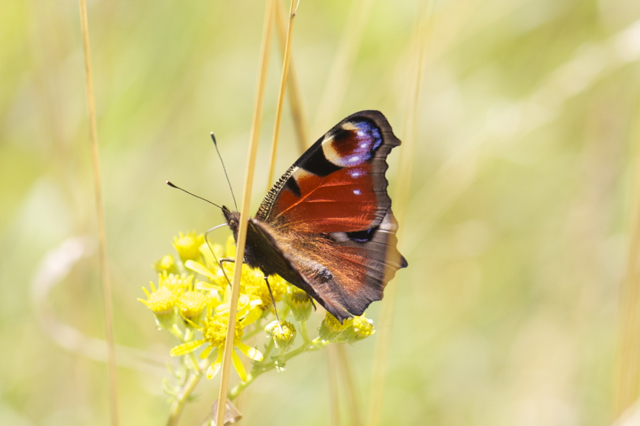 The peacock butterfly is always a favourite of mine, let’s face it, there’s not many creatures so flamboyant on our humble Isle. 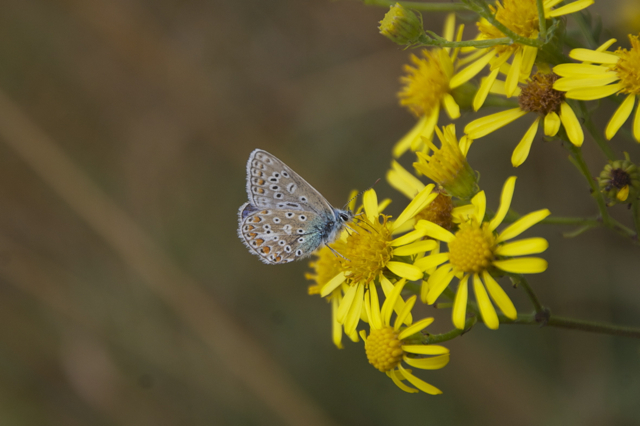 And the Blues so soft and ethereal, it almost brings a tear to my eye to watch them. 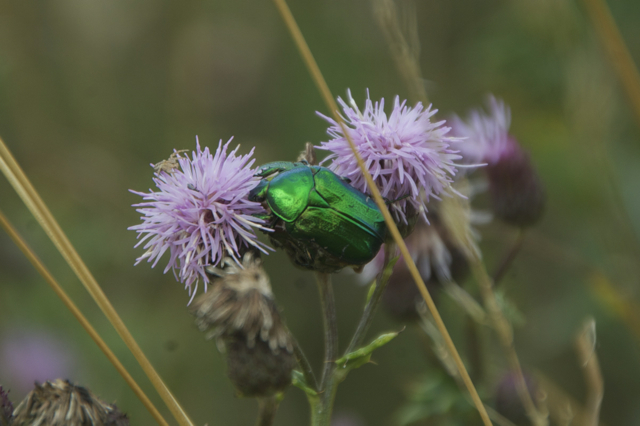 How gorgeous are these emerald hued beetles? 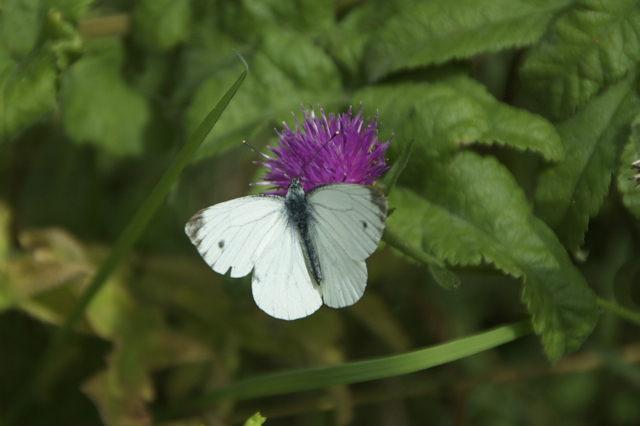 They appeared to be in heaven, caressing each other and the thistle flower with their spindly legs. 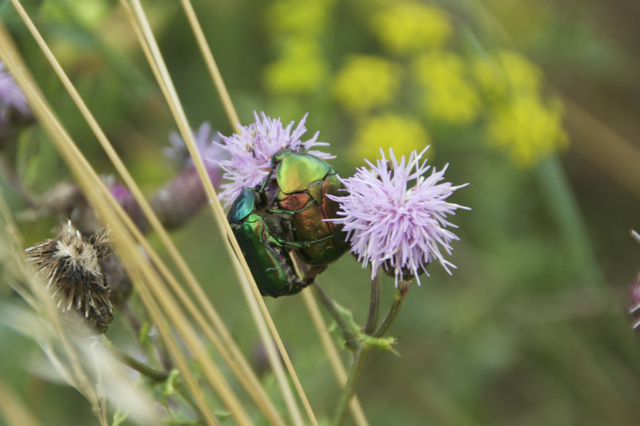 The rose chafer or Cetonia aurata, is not a rare beetle but it still takes the breath away. 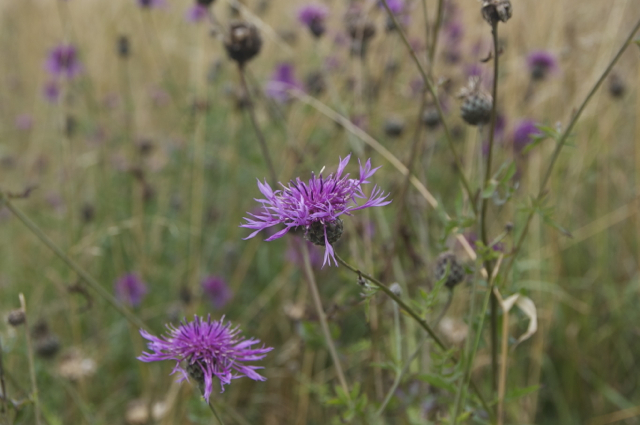 Creeping thistle is very common and has the most wonderful earthy honied scent. A small handful of the flower heads in hot water make a delicious tea. 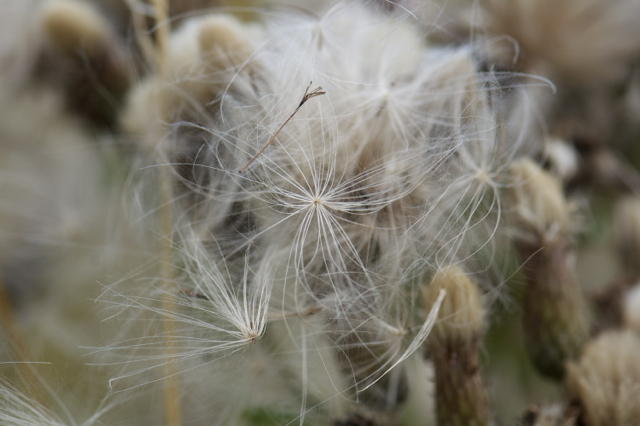 When they finish flowering the seeds are equally beautiful, catching in the wind with their silken threads. 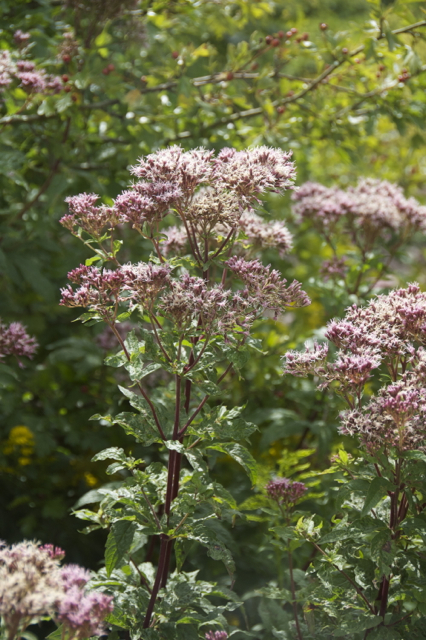 Hemp agrimony (Eupatorium cannabinum) is another common wildflower, though somewhat confusingly it is no relation to either hemp or agrimony. It is little used today but in the past it was an important medicinal herb used for treating fevers and cleansing the blood. It has been found to contain potentially toxic alkaloids so would not be appropriate for ongoing treatment or in large doses which, in any case, may cause vomiting. It is a wonderful plant for butterflies, bees, moths and other insects. 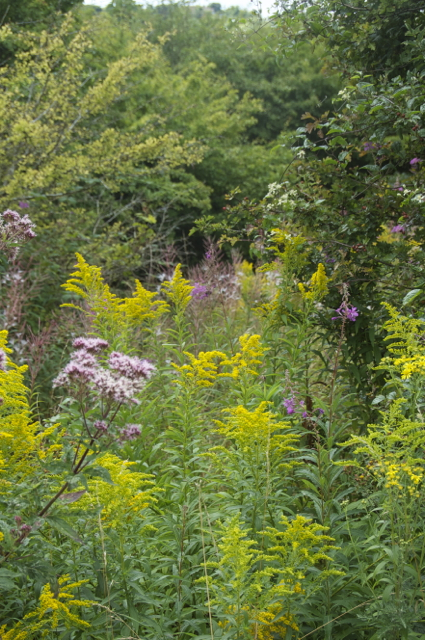 Hemp agrimony, Canadian Goldenrod, Rosebay Willowherb, Hawthorn and Wild Clematis. 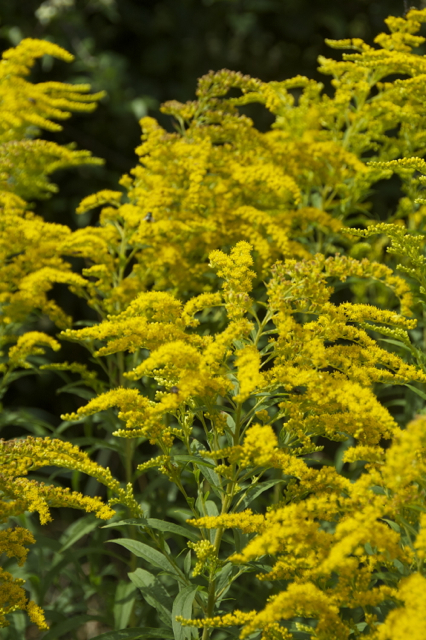 This goldenrod is not the native variety (Solidago virguarea) but the Canadian (Solidago canadensis) which was originally grown in gardens but is now not uncommon as a wildflower here in the South. 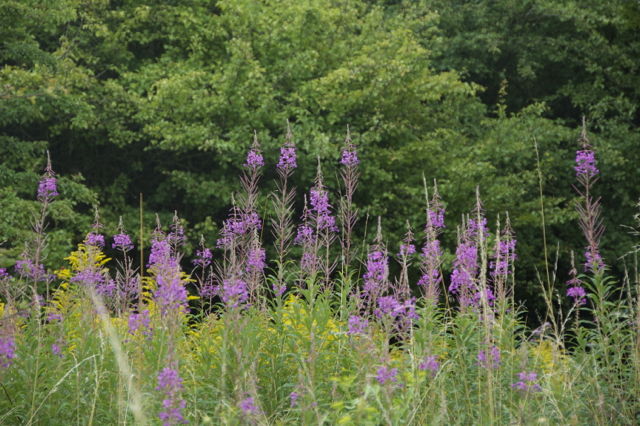 It is very striking with a delicious heady fragrance which results in it being surrounded by clouds of happy insects. 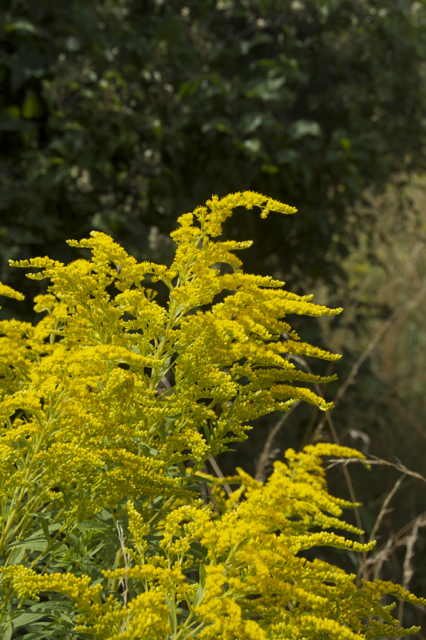 Canadian Goldenrod in full sun! 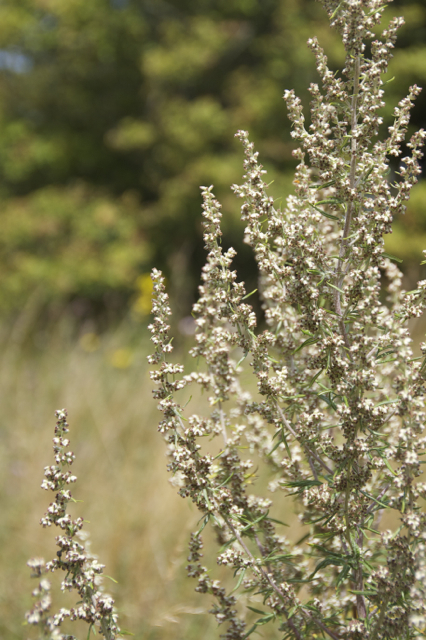 Harvesting the wonderful mugwort (Artemesia vulgaris) was one of the reasons for this morning’s walk. 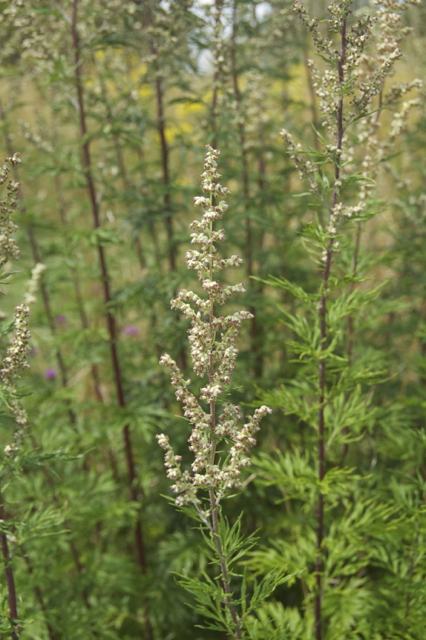 Mugwort is a fantastic medicinal herb that deserves much more than a quick summary but (among its many other uses) it is well loved for its affinity for the female reproductive system and its use as a digestive tonic. 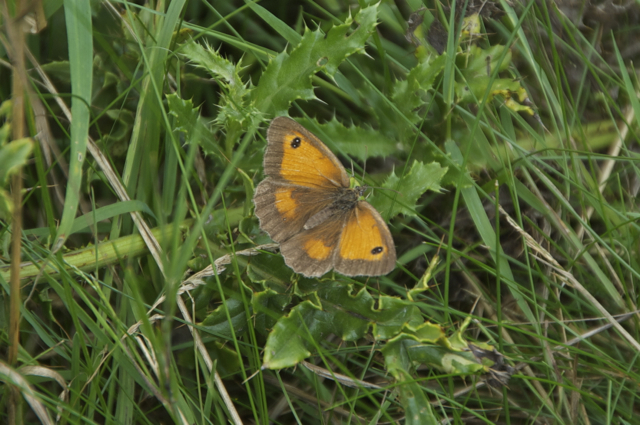 It is also steeped in folklore and myth and has long been used to promote lucid dreaming. Considered sacred to the Goddess Artemis, from whom it gets its Latin name, it is associated with the moon and all things magical. 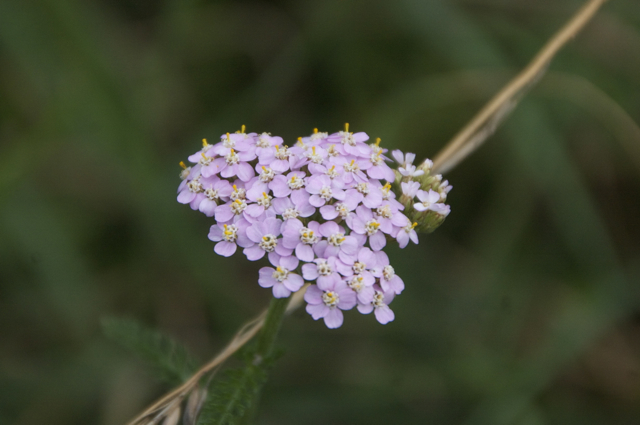 Yarrow is surely one of the most useful herbs we have, being helpful for a wide array of ailments. You can read more about it in my post here. They are mostly white with the odd pink one scattered in. 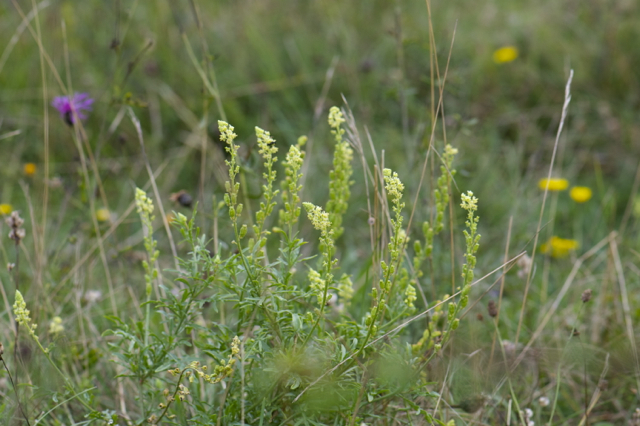 Classic wildflowers of chalky soils like the Downs include the graceful wild mignonette and agrimony. 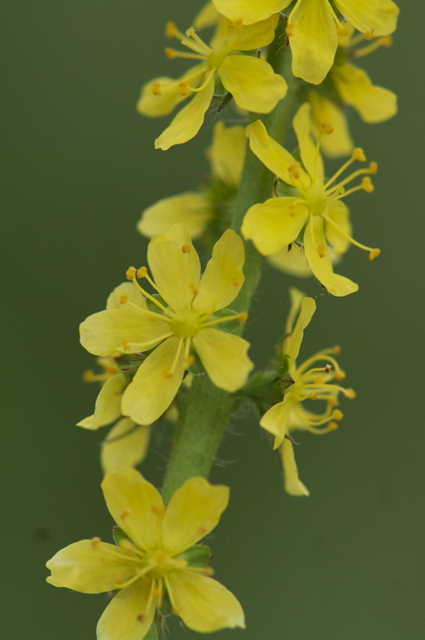 Agrimony (Agrimonia Eupatoria) is such a beautiful and cheerful herb, most commonly used for treating diarrhoea in children due to its gentle astringency. Also used for healing sore throats, toning the bladder and gut and healing wounds, it is member of the Rose family. 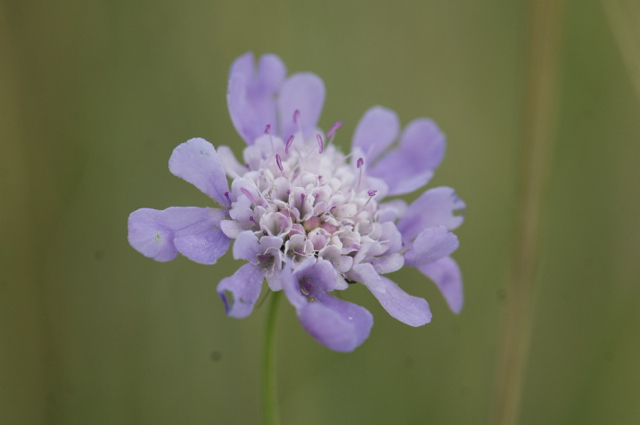 Small scabious doesn’t have the most glamourous name but it is so beautiful it can just about get away with it! Perhaps the other flowers named it to prevent it becoming arrogant? I expect there is a story in there somewhere. 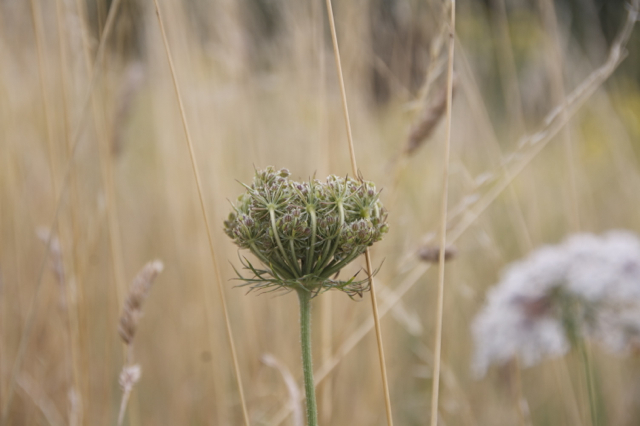 The seed head alone is a work of art that only Mother Nature would be capable of. 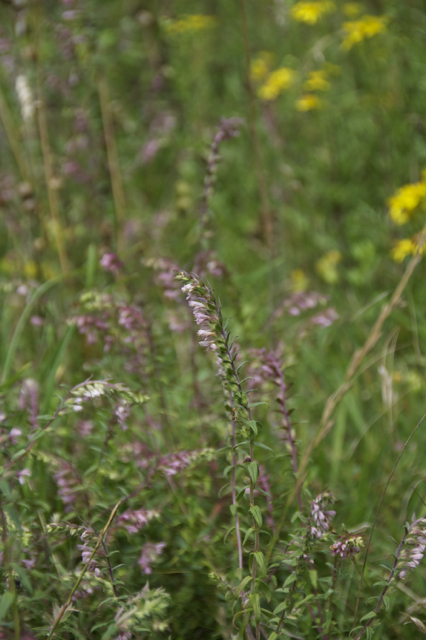 Greater knapweed and rosebay willow herb are also important wildlife species and red bartsia is an attractive wildflower that is semi-parasitic on the roots of grasses. 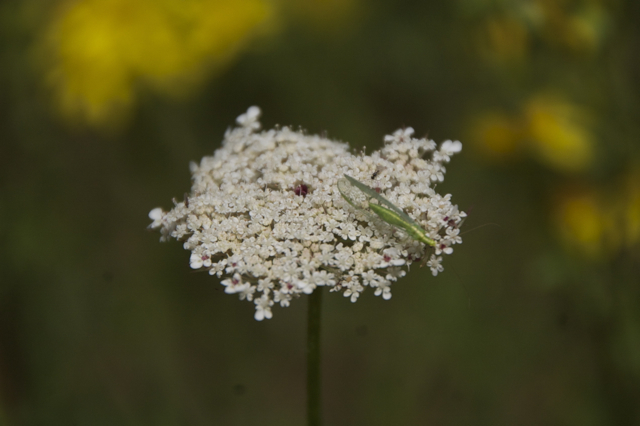 Queen Anne’s lace or wild carrot is another beautiful yet common wild flower. The name is said to come from the small red flower that is sometime seen in the centre of the head and relates to a story that Queen Anne, consort to James I, pricked her finger and stained the centre of her lace red with a drop of her blood. 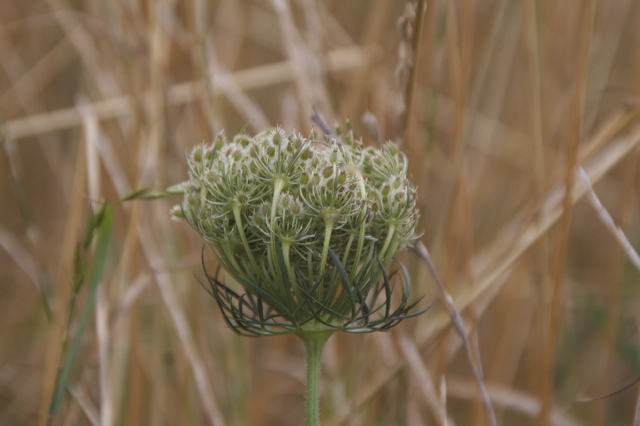 Another of its common names is ‘birds nest’ after the stunning seed heads that form after it has finished flowering. 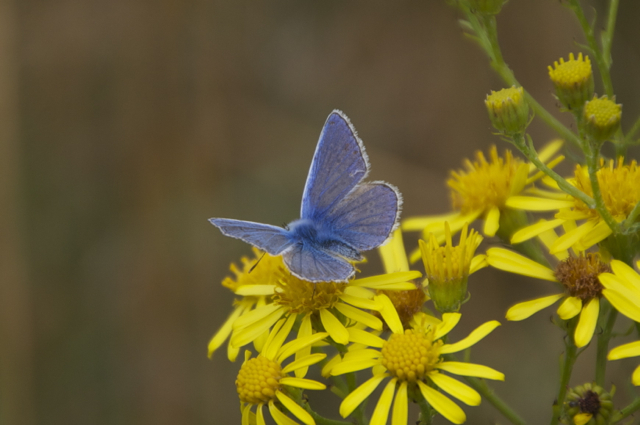 What a wonderful post and you have made me so homesick for the chalk downlands of Wessex (still exiled in Wales). Lovely photos and great herbal information too – I’ve always found that fascinating and have several books on that subject. I wish I could transport myself down to Dorset and have a walk down memory lane. Thank you Lucinda for all these lovely photos and the information you post – I learn so much from what you write. 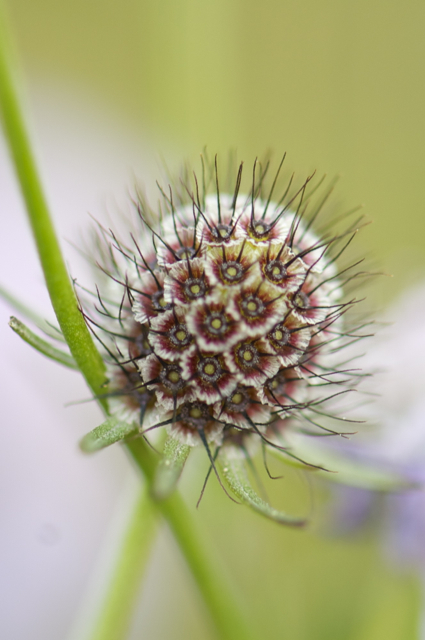 The wonder of nature is often to be found in the smallest details, for example, that beautiful shot of the scabius seed head. Exquisite! Beautiful photos. Great to know all the names. As always, I love your posts. Photographs as well as narrative. Thank you for this lovely post, I recognise most of the flowers but it is good to have their names and uses too. Lovely to walk along. Thanks. Beautiful pictures to brighten the day. Peacock butterflies are so lovely. Thank-you. Thank you so much Lucinda for this post. As a student of Herbal Medicine, these photos and your accompanying information inspire me! Just fantastic! Beautiful capture of the enchantment of late summer. One stunning photo after the other. Ahhh…thank you. I needed to see this now in the cold of winter.